My Car is a 2006 Mazda Speed 6. 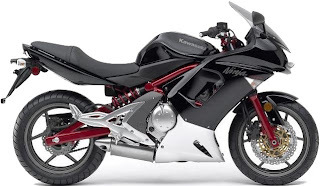 My motorcycle is a 2006 Kawasaki Ninja 650R. Without a doubt, the coolest guy blogging on this site! Totally AWESOME man!! Dood, I can't believe your dad lets you ride a bike, man! Cooooool. I wonder who that last post could possibly have been written by?